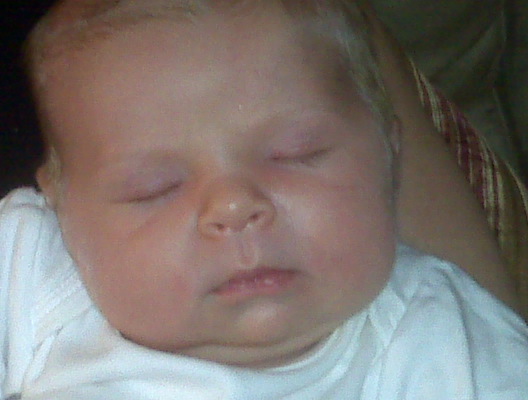 The sleeping saga continues....Isla June slept from 7:30 til 5:20 on Tuesday night. I was elated; we had been battling having her up at 3 am every week night, and even worse on the weekends. I finally resorted to putting her in bed with me because I was tired of getting up with her on Saturday night. Mimi says that it's because she misses me and needs this physical closeness to make up for the time I am away during the week (thanks for the guilt, right? ), and it also seems that she takes this opportunity to revamp my milk supply. But, after rereading Elizabeth's sister, Allison's blog, I had decided to try our own version of "Baby Bootcamp". She's done it before! The ENTIRE month of August she was sleeping between 9 and 12 hours at night. Physically, she is at the point where she is able to fast during the night. Trust me, she's not going to waste away. Now, I know some of you out there think I am being a mean mommy. Trust me, sometimes I think I am too. But, I've tried the nice way, and I haven't had a decent nights sleep in over a month, and now that I'm back at work, I need it! I think IJJ is at the point that she is very aware of reinforcements, so the nursing is becoming a habit instead of something that is needed. Plus, I've heard that this is typical for babies who slept through the night early on to regress and need some "sleep training". Sorry IJJ - Tonight it is earplugs!